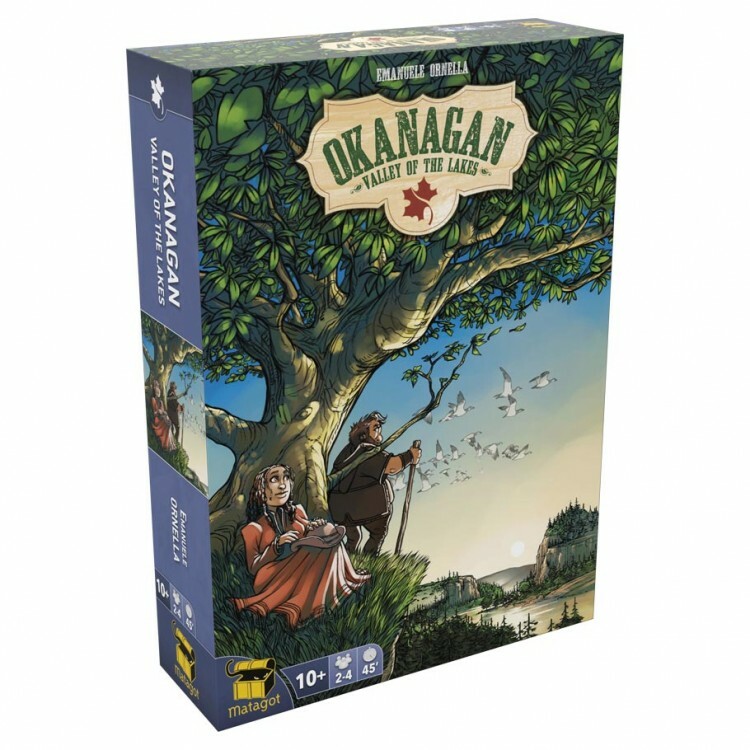 The Okanagan Valley, with its huge lakes and fertile meadows awaits anyone willing to exploit it! 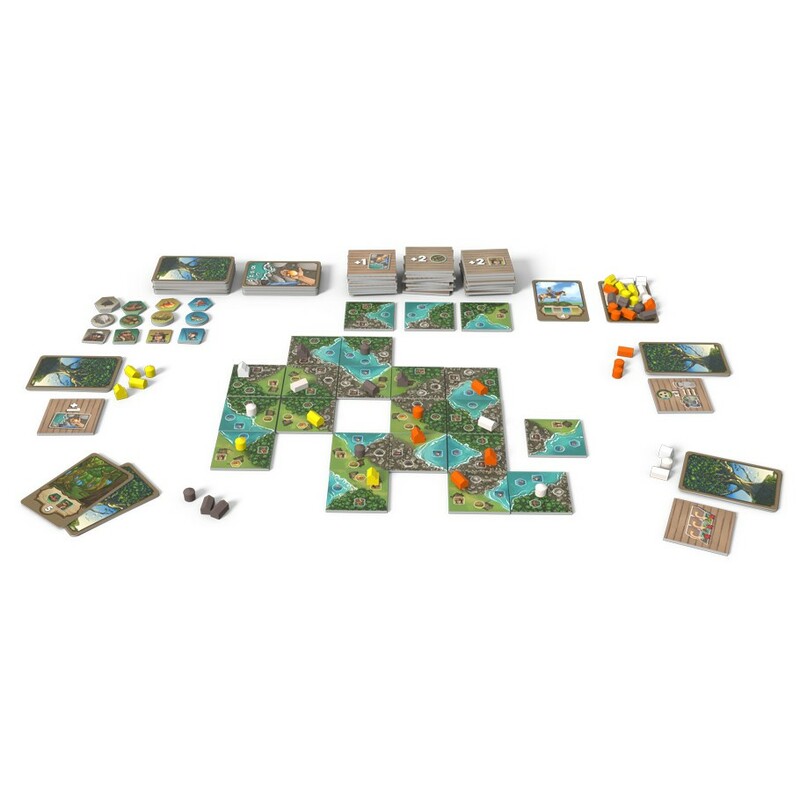 Shape the land and expand your wealth in this tile gathering and territory building game. The players arrange tiles to design the landscape along with its natural resources. You'll place in turns one of the three available buildings to obtain and secure these resources, complete your secret goals and score the highest !